It's winter time over at my side of the world and the mercury is now around somewhere between 10 and 15 degrees Celsius. 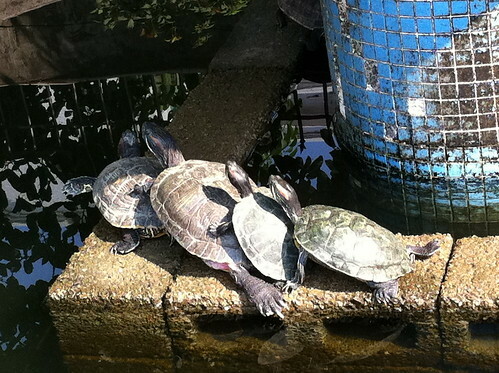 As gloomy as winter sounds, we have very nice sunshine during the day and it is no wonder that the turtles have all decided to come out of the water to catch the rays. 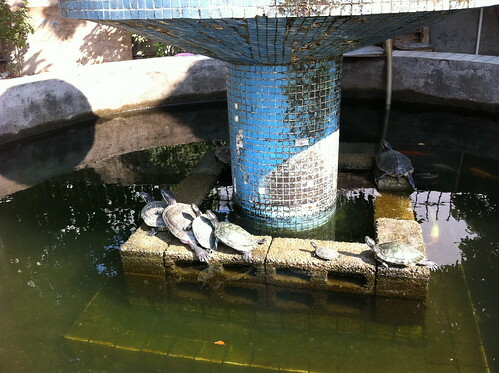 The picture was taken in my office where we have a fountain pond with turtles and fishes. It was a day after lunch when I got back to the office when I see them in such an amusing formation.